What Content Can I Change After Submitting My App? Learn what in-app content can be updated on the fly and what you should finalize before clicking submit. Attendify's versatile platform allows you to update your in-app content at any time. 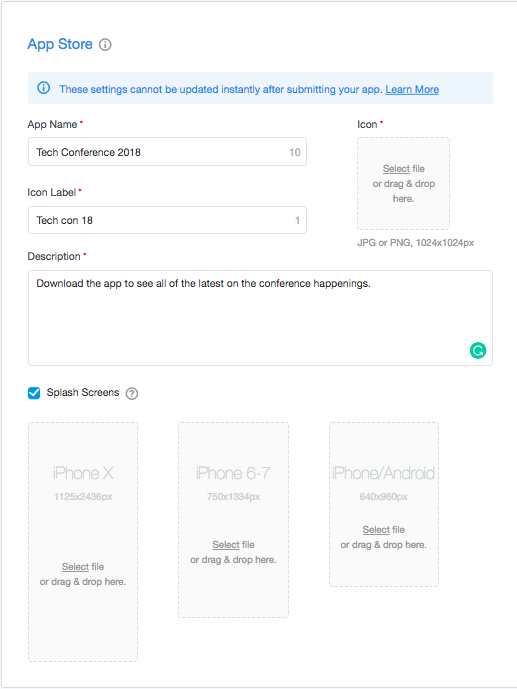 No need fret about those day-of room changes, typos, new presentation decks to load - anything that lives inside the app can be updated at any time and the changes are automatically reflected on your users' devices. This is true for all Attendify app offerings, both the Attendify app and client-branded apps. Due to the manual work involved on Attendify's end to prepare a new build and resubmit the build to the app markets to review, a fee of $199 will apply to any changes made to an already-approved app. Review times can take 2-5 business days to be reviewed and approved by Apple and Google. If you have any questions on this please reach out to your dedicated success manager or chat with our Support team on the bottom-right corner of any Attendify webpage - we'd love to assist!